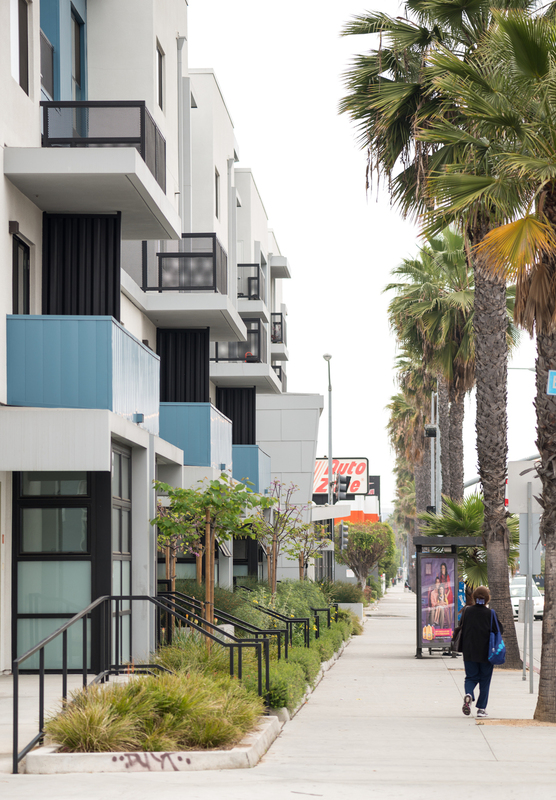 Over time, Long Beach Boulevard had undergone a steady decline, leaving empty lots and underutilized commercial and residential buildings along the street. 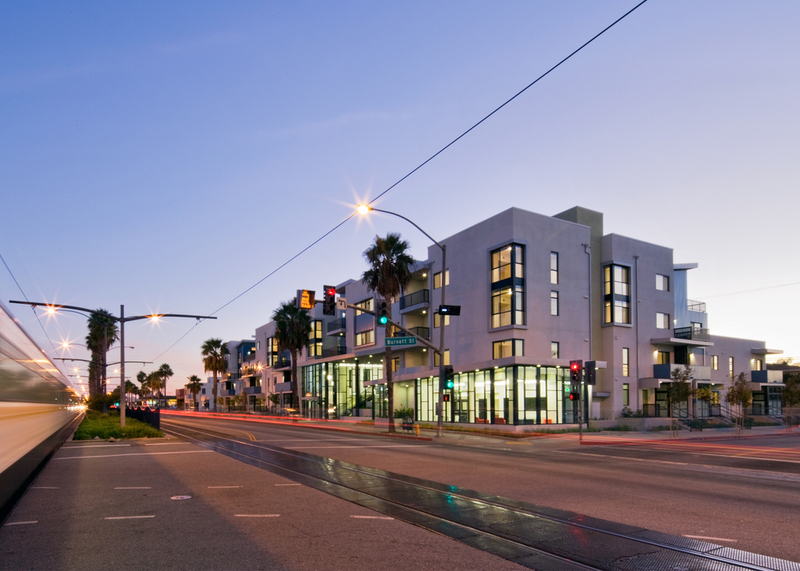 The City of Long Beach Downtown Planned Development Ordinance sought to remedy these conditions by increasing the quantity of residential units while “creating safe, attractive and comfortable streetscapes emphasizing a pedestrian focus and a quality physical environment.” As a prototype for revitalization of the distressed urban corridor, the project was conceived as a public / private partnership to provide affordable family housing in this mixed-use, transit-oriented environment. The project presents a diversity of housing typologies, including two-story townhouses at ground level, courtyard pavilions, roof deck units and flats, contributing to both diversity of living environments and residents. 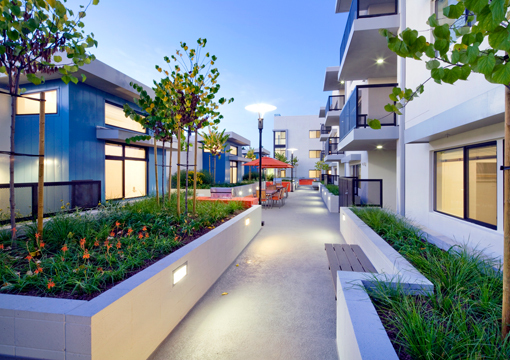 The townhouses are accessed via an entry stoop that activates the public sidewalk and encourages use of the rail line, while the cottages are entered through the shared courtyard. The Community Room is located at the main corner of the site, enclosed with storefront-glazing in the character of a mixed-use commercial corner, thereby engaging the public. Within the two-story entry porch is a terraced garden that visually connects the interior courtyard to the sidewalk.